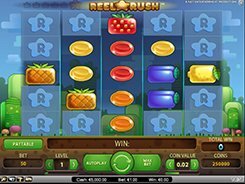 Reel Rush is a colorful retro-style slot with up to 3125 ways to win and a 1-3-5-3-1 basic reel arrangement. 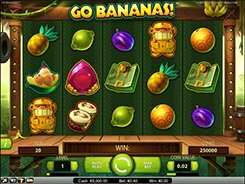 The minimum and maximum bets in the game are $0.5 and $100 respectively. The symbols on the reels are simple; these are fruits and candies of various colors. Winning combos are created by three or more matching symbols landed on adjacent reels starting from the utmost left. The slot features a wild symbol that appears on all reels other than the first reel and substitutes for all icons. 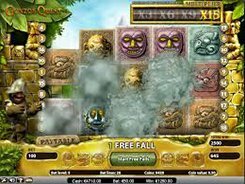 Getting a winning combination awards a respin that comes at no extra cost to you. Each consecutive respin opens new symbol positions on the screen which changes the initial 1-3-5-3-1 configuration of reels and rows. 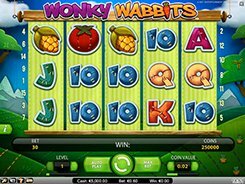 Every consecutive win activates one more respin until you finally reach the fifth respin, after which you are awarded eight free spins with a huge chance to win big since the feature is played over a 5-5-5-5-5 screen with 3125 ways to win. 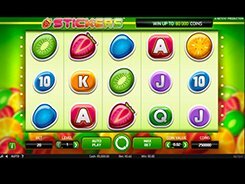 The biggest cash prize of $20,000 is granted for hitting five Strawberry symbols. 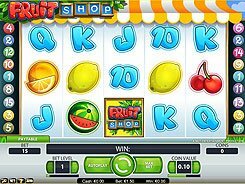 Being similar in style and design to old-school games, Reel Rush will definitely appeal to classic slot machine fans and to players who are mid-to-high rollers.